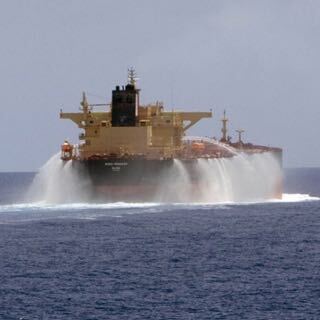 Merchant Navy and Superyacht Training. STCW 95/2010 Courses. *** NOW OFFERING COURSE & ACCOMMODATION PACKAGES *** Review: Absolutely the nicest host you could ever wish for. Kelly was very kind, welcoming and went above and beyond any expectation. Extremely clean and tidy. Breakfast was delicious. Great to have the bar, swimming pool table, board games and a lovely lounge too! Very professional from presenters to administration. This is the best one day first aid course I've ever had and received information I'd never heard of before. 10/10! Thoroughly enjoyed the courses! Really enjoyable and educational at the same time. Thank you to Neil for providing such a fantastic and professional PST course. The instruction was the best I have received of any courses taken during 8 years of yachting. It was thoroughly organised, communicated and enjoyable. Instructors, venues and the training exceeded my expectations. IMPORTANT - STCW 95 has now been replaced by a newer version agreed in the STCW 2010 Manila Amendments. Our courses are conducted in Paignton, South Devon. We use various local pools dependent on availability. All equipment is provided including survival suits, lifejackets etc. Our trainers are Fire Service trained. We use state of the art breathing apparatus. The course is both exhilarating and fun. Our instructors are medically trained career paramedics to ensure our courses are taught to the highest of standards. These are half day courses. The Personal Safety and Social Responsibilities course is mandatory for merchant navy. The Proficiency in Security Awareness is required for personnel onboard certain types of ship. 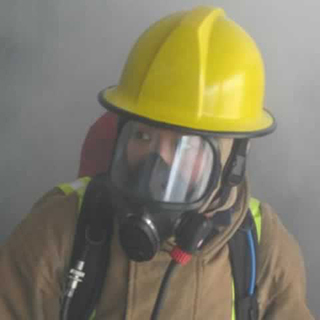 STCW Fire-fighting & Fire Prevention courses are run by Fire Service trained instructors at a purpose built facility. A high standard of instruction is provided at an excellent training facility. 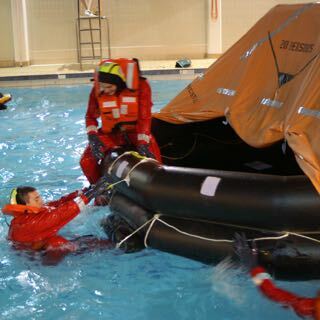 We provide STCW Personal Survival Techniques at our training venue in Paignton, Devon. Various pools are used dependent on availability but we are committed to using community run pools where possible to support these charity funded projects. You will learn correct use of survival equipment and liferaft procedures. 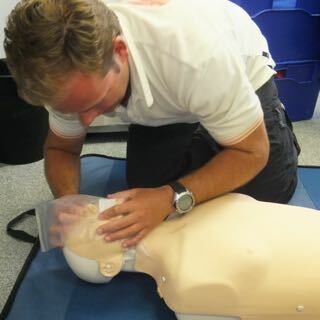 Our First Aid courses are instructed by time served paramedics and hospital staff. We like to ensure that you get the best quality training from staff who specialise in the medical profession. STCW PSSR courses are intended for personnel who are new to serving onboard ship. This is a compulsory ½ day course for all seafarers onboard merchant vessels bounded by the STCW codes. To reserve a place on a course we require a 25% deposit. At 28 days or less from the course commencing we require full payment. Our full terms and conditions are below. Guide to booking online: Open the Course Dates calendar page direct from the Menu at the top of each page. Select the course date and type you need and then follow the options to pay by card online or call us to pay over the phone. We require a 25% deposit if your course is more than 28 days away. After that full payment is required. If you cancel your course when it is longer than 28 days away you will receive a full refund less the booking fee mentioned below. If you cancel your course less than 28 days before the course, you will forfeit your full course fee unless we can re-sell your place; if this is possible you will receive a full refund less the booking fee mentioned below and a £25 admin fee. All bookings carry a £25 booking fee included in the cost of the course. When buying online you have seven days in which you may cancel your course without penalty except the booking fee. Please click on the text below to download our full T&Cs. High Quality STCW 95 & 2010 Basic and Updating Training based in the United Kingdom.